We’d love your help. Let us know what’s wrong with this preview of First Big Book of Why by National Geographic Kids. To ask other readers questions about First Big Book of Why, please sign up. A fascinating book that will captivate inquisitive kids (and adults) for days! It's packed with information about everything from why we need to eat certain foods, to why doughnuts have holes, why plants grow upwards, why there are rainbows, why some people have curly and others straight hair, why planes fly, why boats float, and loads more. With straightforward text and clear pictures even young children can follow the explanations, and yet the content is rich and varied enough to extend older A fascinating book that will captivate inquisitive kids (and adults) for days! It's packed with information about everything from why we need to eat certain foods, to why doughnuts have holes, why plants grow upwards, why there are rainbows, why some people have curly and others straight hair, why planes fly, why boats float, and loads more. With straightforward text and clear pictures even young children can follow the explanations, and yet the content is rich and varied enough to extend older ones too. Highly recommended for whenever kids have time on their hands. It was going so great until . . . page 40: when a diagram of a house (explaining gravity) had the toilet sewage going down to a woman with a garden hose, and she is spraying the plants with poopy water. They even included a diagram which described poop-eating bacteria. Ugh. Bad editing, poor picture. Page 73: "If they [the iceworms] get too warm, they melt." Omg. Childhood! I can’t emphasize this any more. I LOVE THIS BOOK. Shields, Amy. (2011). 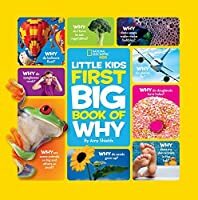 First big book of why. Washington, D.C.: National Geographic. 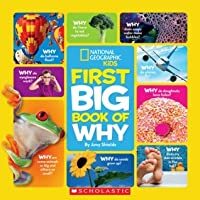 Description: Similar to the format of National Geographic Little Kids magazine, the very youngest will be thrilled with the answers to all of their “why” questions. Beautiful photography and simple text are paired to answer all types of questions that young students may have. Content/scope: Accurate yet age-appropriate answers are provided for pre-school aged ch Shields, Amy. (2011). 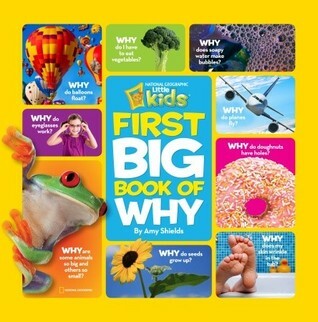 First big book of why. Washington, D.C.: National Geographic. Content/scope: Accurate yet age-appropriate answers are provided for pre-school aged children. Perfect for sparking inquiry based classroom discussions. Accuracy/Authority: Answers are educationally sound and are backed by National Geographic Society. Arrangement/Presentation: Every topic has a 1-2 page spread featuring the amazing photography that National Geographic is famous for. Relation to Similar Works: Similar to other question/answer format books but with captivating photography. Timeliness/Permanence: This book was very recently published in 2011. The questions featured in the book are timeless. What makes a car go? What does the doctor see in my throat? Rationale for Selection: This would be a great addition for read alouds to spark inquiry discussion with preschool and kindergarten aged students. Content/Scope: This almanac, which is targeted toward pre-school students to answer some of the very simple questions that children have. It gives answers to questions, recipes, games, crafts, and more. Each page has colorful illustrations and pictures that aid in the explanations and answers. Accuracy/Authority/Bias: National Geographic is a lea Shields, Amy. (2011). 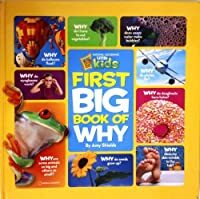 First big book of why. Washington, D.C.: National Geographic. Accuracy/Authority/Bias: National Geographic is a leading authority in the publication of children’s informational books. 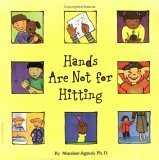 Accessibility/Diversity: While this book is targeted for the preschool child it would also be interesting for primary aged students. Its presentation of questions challenges the young mind to explore topics for deeper understanding. Relation: This exploration of simple topics with amazing pictures will be the only one of its kind in this library. Although it is part of the Nat Geo Little Kids collection, preschoolers to primary schoolers will find this wonderful book interesting, informative and accessible for early readers. It is organized into four categories: Amazing Me, How Things Work, Animals All Around, and Wonders of the World. Questions like “Why does my skin wrinkle in the tub?” are answered with kid friendly language and science specific vocabulary. Small text boxes highlight facts. Open-ended questions stimulate thoughtful ob Although it is part of the Nat Geo Little Kids collection, preschoolers to primary schoolers will find this wonderful book interesting, informative and accessible for early readers. It is organized into four categories: Amazing Me, How Things Work, Animals All Around, and Wonders of the World. Questions like “Why does my skin wrinkle in the tub?” are answered with kid friendly language and science specific vocabulary. Small text boxes highlight facts. Open-ended questions stimulate thoughtful observations and discussion. Each section has at least one simple experiment, and a “Why Not?” section to explore previous learning. In addition to the experiments, the author provides several “Parent Tips” extension activities (observations, crafts, memory, and imagination, experiments and games) at the end of the book. The content of Little Kids First Big Book of Why strengthens a 4-5 year old child’s vocabulary skills by introducing them to new words and concepts. As the child practices reading this book, speech and language development continues to grow, and comprehension of text and meaning also deepen. In addition to strengthening comprehension, the child’s motivation for print is increased when they realize that books contain facts and information to help them understand the world around them. My 4 year old daughter is loving this book, and so are her parents! It is full of questions that children tend to ask and parents are often stumped by (such as why is the sky blue, why does grandma have wrinkles, etc...). The answers are clear and simply described-just enough information. Perfect for kids ages 5-8... and maybe a bit older or younger depending on the child. This is a fantastic information book, packed full of colourful, exciting pictures and thought-provoking questions to satisfy children's curiosity. It's great for modelling how to ask questions as well as how to answer them, and great to dip in and out of. Highly recommended! This book allows students to explore their imagination. It helps cure curious minds, and it allows students to formulate questions. It is nonfiction, and it's a good way to captivate young inquisitive minds. Quite possibly my daughter's favorite book of all time. I think this book is ok. It has cute pictures and ok writing. I enjoy blowing my kids minds with this. We enjoy the experiments too! What a great way to take advantage of young open minds. 'The BIG Book of Why'...So many questions; so much to explore...like all the wonders of our world; from the water to the sky...and the miracle of life; from our very first breath to our minds eye. My four year old daughter really enjoyed this book, it makes a good nighttime story if you divide it up a bit. The kids absolutely love this book. It has led to some lively conversation and requests for more information. Offering K-12 educators resources that align to and support the Common Core State Standards, With more than 600 titles—including the popular Weird But True franchise and the New York Times Best Selling National Geographic Kids Almanac—National Geographic Kids Books is the recognized leader in nonfiction for kids. Published in 28 languages, NGK Books reaches approximately 85 million kids every year.